We love working with Artists who have a vision for their websites! South Kona Artists Collective was a fun project to work on. 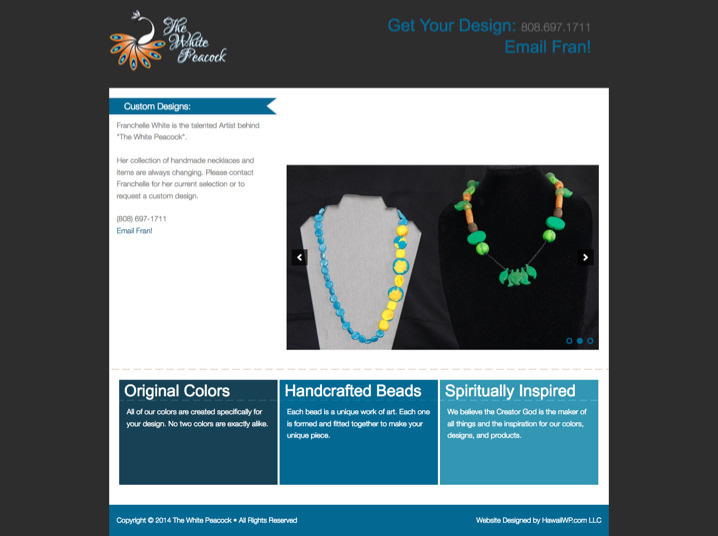 They wanted a beautiful website that would showcase the artists and their art. So we created a few custom designs for the Artist Pages and Art Portfolio pages. But these complex layouts also needed to be easy to edit and update. So we spent a good deal of time working on the back end editor of the website. Storyteller Jeff Gere’s website was hacked and much of his content was lost or had to be recreated. Fortunately he had a backup of most of his material. We worked closely with his creative style to capture Jeff’s personality and flair. His site consisted of a few custom designs like the store layout for his CD’s and DVD’s. Overall, he has a unique home for his online content and he is regularly updating the site by himself thanks to the simplicity of the WordPress system and our 2 training sessions. I did some work on Wayne’s previous site and continued to work with him on this project as well as another. 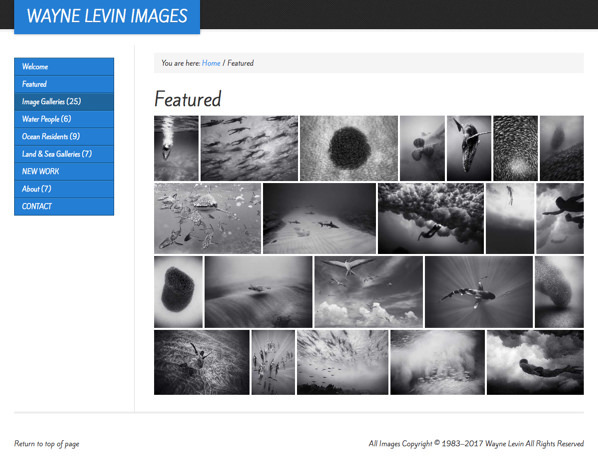 Wayne wanted a simple website that would focus the attention on his photography so we came up with this simple design. The cool feature of this website is the Tiled “Masonry” style gallery on each page. The photos are scaled and ordered so that the gallery looks great. Clicking on the images will open them in a lightbox and give you some information of the photos. Fran is a young artist that does amazing hand crafted jewelry and figurines. I love her designs and products. Jeff needed a redesign for his passion project. 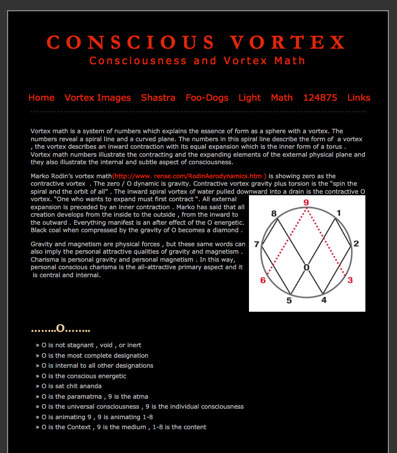 He loves to promote the connection between consciousness and vortex math. He wanted a simple and clean website where he could display his research, images, and links to more resources. I came up with this simple theme and design to highlight his content.